As far as extreme achievers at every possible mortal level are concerned, Tim is at the pinnacle of mental and physical ability. 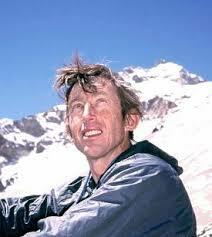 One of the greatest naturalists and adventurers of all time, Tim is the first and only human to have truly embraced Mt Everest in the most intimate and intense manner possible; by reaching the summit by a new route, free-solo, without bottled oxygen or porter support by walking 1200 km from a swim in the Bay of Bengal. One of the most phenomenal achievements of all time. I look forward to covering Tim’s abilities in upcoming blog posts. I was suitably impressed when he told me that his favourite hi-altitude snack is his mother’s home made fruit cake! I must get that recipe!